BEAT is the fully integrated, all-inclusive ERP software that suits your organisation’s communication, processing, and management needs to a tee. How can we be so sure? Because we custom-fit our system to your needs, not the other way around. 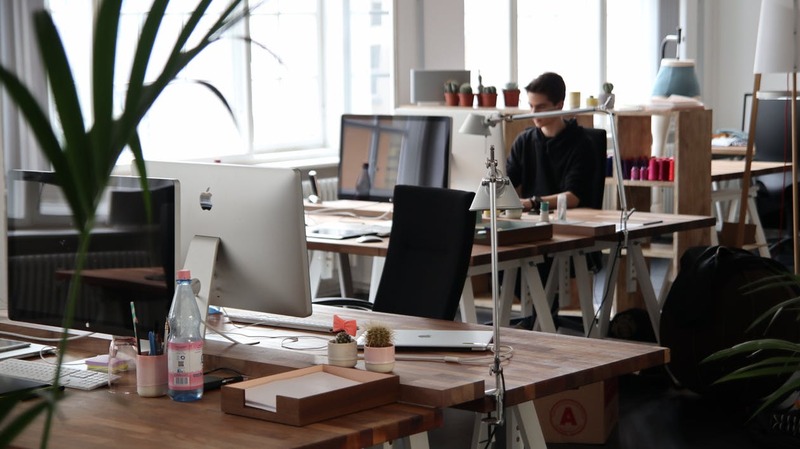 Whether you’re trying to navigate that tricky growth from small to medium business, or simply looking for ways to boost the efficiency and, concurrently, the bottom line of your company, investing in ERP software could be exactly what you need. Combining CRM, workflow management, task management, payment processing and much more, the right ERP can make a significant impact to the way your business operates. Automation cuts time wasted on manually executing administrative tasks, connectivity allows you to build customer relations like never before, and intuitive software takes seamless organisation to new heights. Every business is unique, so why shouldn’t they have an ERP that’s just as personalised? BEAT is one of the most flexible and adaptable solutions on the market. That means our team can, after meeting with you and understanding more about the way your business operates, construct a personalised system that works specifically for you. the core of your ERP; here you will be able to log and manage relationships and links with people and organisations - all with the aim of keeping you connected to your customers, your leads, donors, suppliers, staff, and any other people and organisations that matter to your success. 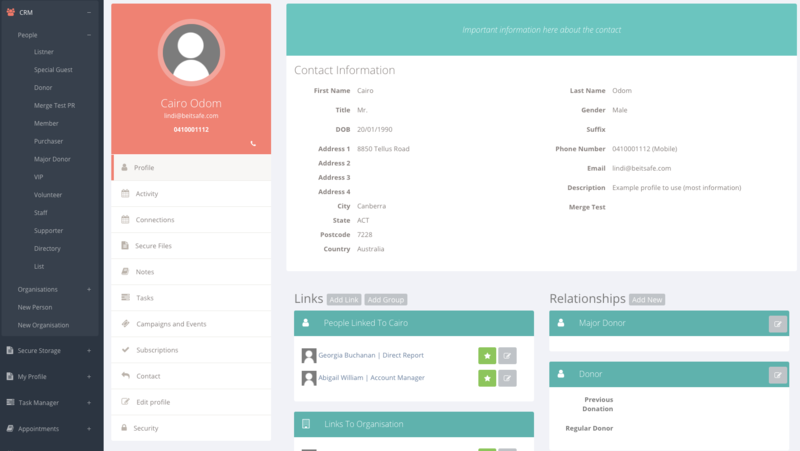 Included in this module, you can capture all information regarding your relationships and contact with that person or organisation, add in unlimited custom fields against the contact and per relationship, capture notes, view all interactions and historical information, make appointments and send calendar invites and more. Keep track of your to-do list through BEAT's project and task manager. 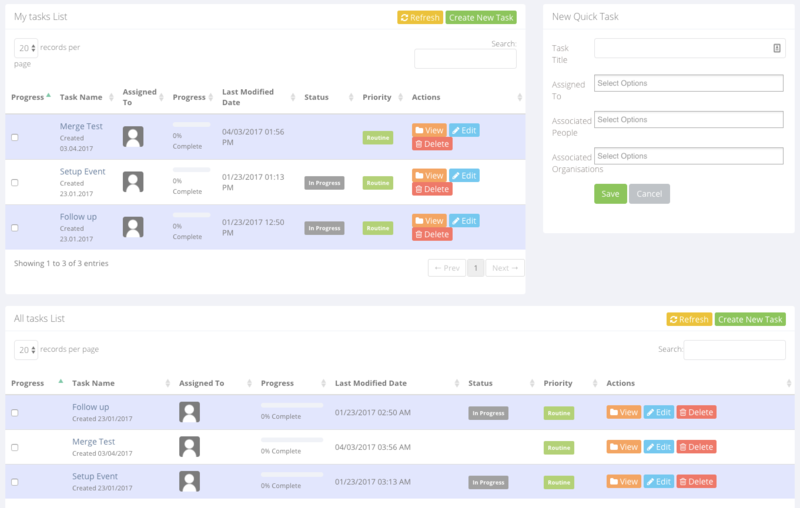 This allows users to assign tasks to individual/s and track tasks that are associated with the people and organisations in your CRM. You can group tasks together under a project, keep tasks updated with notes, add attachments, create recurring tasks, customise task statuses and priorities and tag tasks and projects with key outcomes. 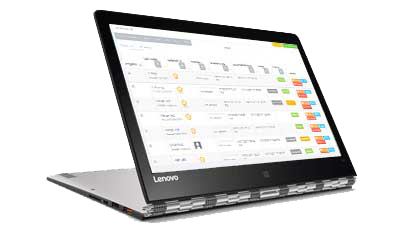 organisation and productivity often stem back to workflow management; this software allows you to perfect your processes and benefit from the resulting improved efficiency. Build your own workflows and automations based on triggers across the modules within BEAT and setup corresponding actions. Setup sales automations as well as ongoing relational or organisational process workflow and track people's progress through those workflows.